I love Chinese game pirates. What they lack in available hardware, they make up for with moxy. 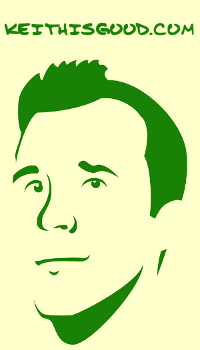 Moxy, I say! 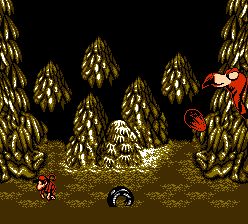 This time we have a Famicom re-imagining of the SNES's Donkey Kong Country. 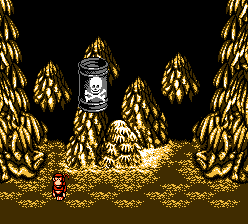 Produced in 1997 by Chinese Pirates, Hummer Team, Donkey Kong Country 4 (named as such--I assume--to differentiate between the other three Famicom Hacks of DKC) is a game in the vein of Waixing's The Legend of Zelda: A Link to the Past. Graphically, the resemblance is striking. Gameplay-wise....well at least they tried. 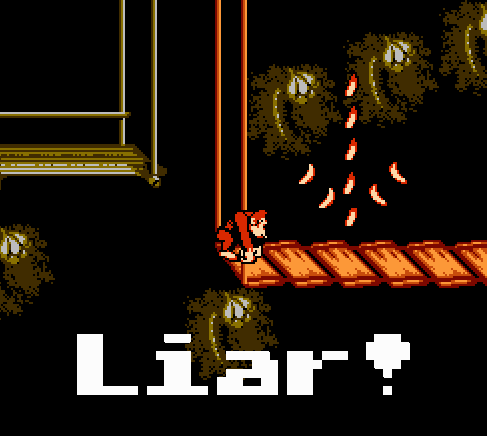 The opening animation sets the tone for the rest of the game; Donkey Kong Country 4 plays like a shorter, clunkier, slightly more pixelated version of its Super Nintendo counterpart. 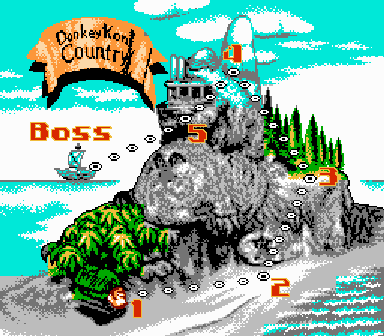 The world map, same as Donkey Kong Country, has five areas. The difference here is that each area has only three stages. With only five stage "types" to draw from, even with varied baddies and barrels, the repetition soon gets tedious. The game, then, is merely a menagerie of things over which to jump. Gone are the hidden areas and animal friends which offered replay value to DKC. Hummer Team kept groups of arrow-shaped bananas, but now, instead of pointing to hidden areas, the banana arrows indicate the fastest route to gorillacide. A boss guards the end of each area. Areas 1 and 3 have Wynona's Big Brown Beaver, Areas 2 and 4 have Them Crooked Vultures, and Area 5 has the Barrel of Death. After smooshing each of the Horrible Bosses, Donkey and Diddy toddle off to a pirate ship. There they battle the palette-challenged King K. Rool. Just as all the bosses before him, the battle with K. Rool (Mr. Rool?) is quite difficult. The Bosses in DKC4 have a speed rivaling your reaction time, meaning a certain amount of prescience is required to send them to Davy Jones' Locker. It's a good thing Hummer Team starts you with a ridiculous amount of extra lives--you'll burn plenty of them mastering the boss fights. After besting the Lizard King, Donkey Kong Coutnry 4's ending is, as expected, whelming. Donkey Kong Country 4 is repetitive with poor hit direction. Thankfully, the game is short: only 30 minutes or so from start to finish. 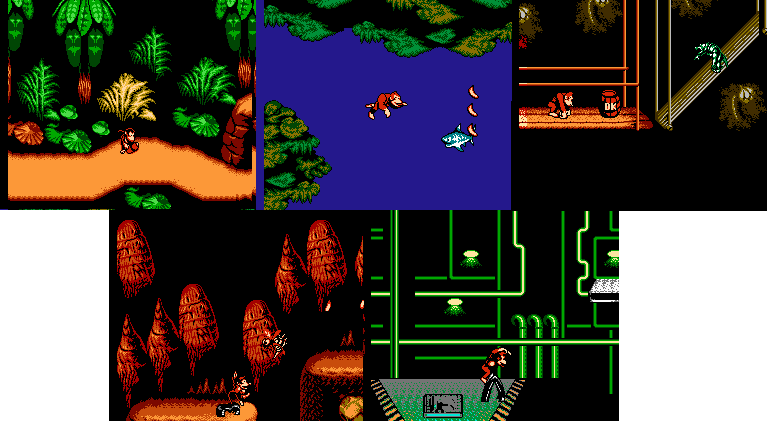 Hummer Team's faithful translation of the sprites and environments from the original Donkey Kong Country, however, make DKC4 interesting enough to play start to finish. If you want to read my accompanying playthrough of The Jungle Book 2, look at the below header for 30 seconds and hit "home."